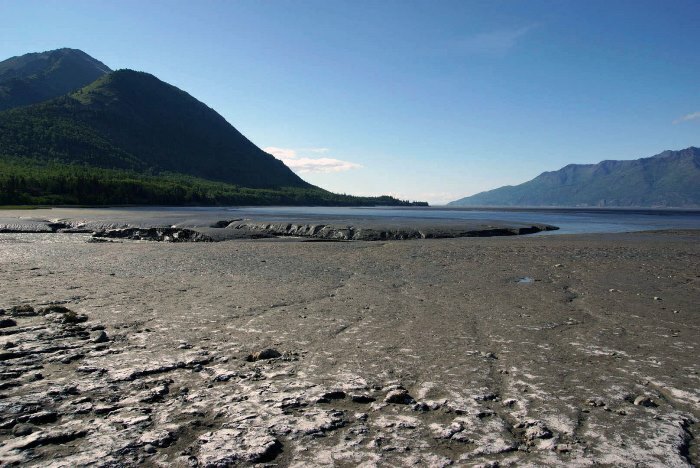 You will be very familiar with one side of Turnagain Arm during your visit to Alaska. 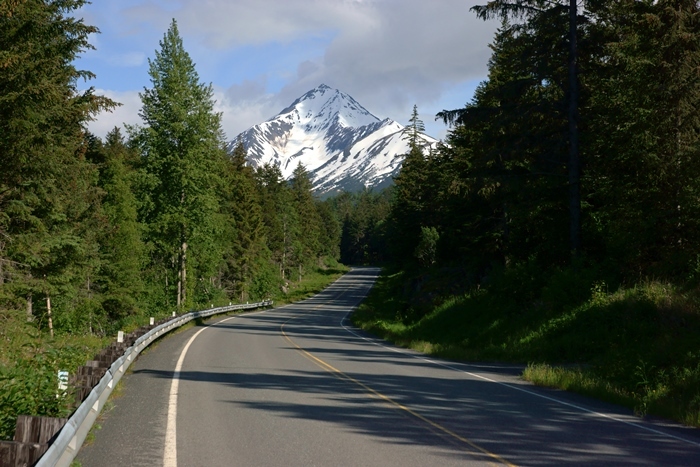 The Seward Highway runs along the inlet’s northern coast — it’s one of the most traveled and most beautiful roads in the state. But what’s on the southern coast? 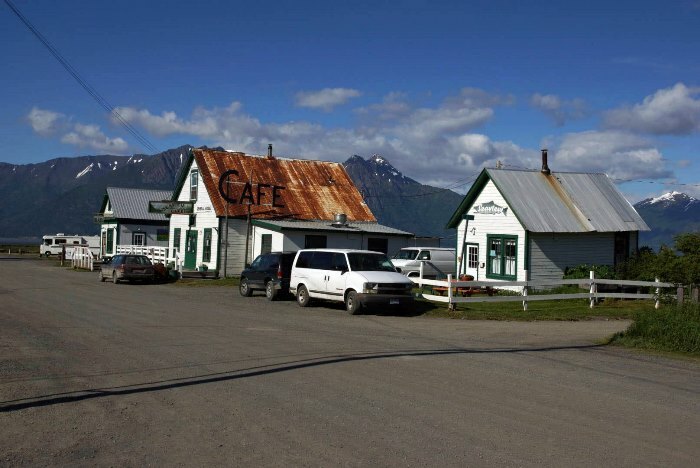 As it turns out, not a lot, but there is one small town worth visiting: Hope, Alaska. There is just one way into, and out of, Hope, Alaska. The turnoff for Hope Highway is located 22 miles south of Portage Glacier Road, and 19 miles north of the junction with the Sterling Highway and Alaska Route 9. It’s another 20 miles to the town of Hope. If there’s a paved road in Alaska, I want to drive it. After all, Alaska has so few of them, it’s hardly a challenge to travel all of them. And sometimes, it’s quite amazing that the road even exists. 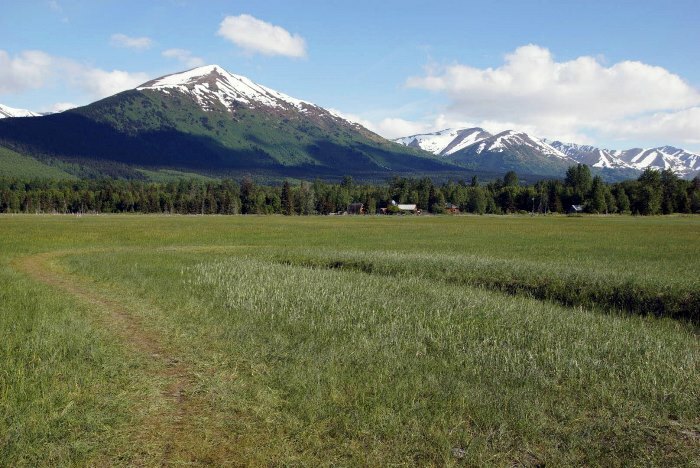 For example, the road to Hope, Alaska — a town with a population under 200, that gets its own 20-mile paved access road. The Hope Highway isn’t quite as scenic as I had hoped. There are moments when the highway aligns with a nearby mountain peak, giving you a nice photo opportunity. But it takes a while for the Hope Highway to go from the interior of the Kenai Peninsula back to Turnagain Arm. When you get there, it’s still a few more miles to Hope. But, there are only a couple of scenic turnouts, with a big enough break in the trees to allow for a nice view. 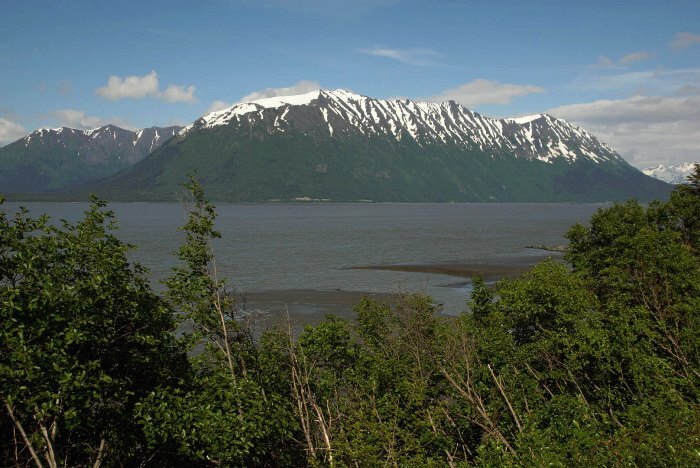 Looking straight across Turnagain Arm, you’re viewing Bird Ridge, among other peaks. Girdwood and the Alyeska Resort would be on the right side of this photo. … consists of this, and not much else. 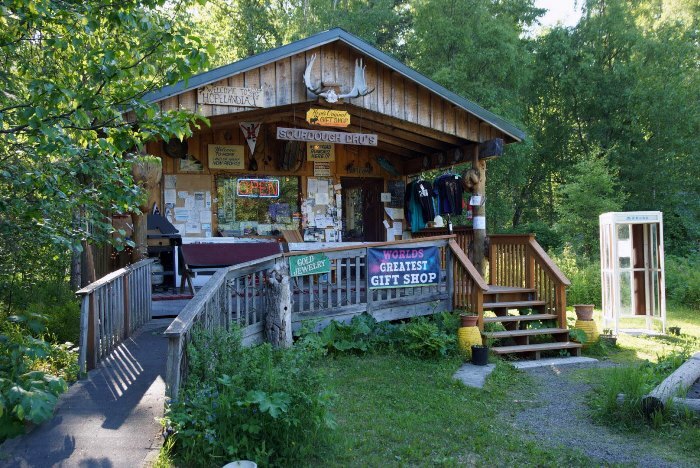 There is a cafe, general store, community center, gift shop, and a few other businesses. A couple of other restaurants are scattered around town. Just beyond the rusted tin roof of the cafe, you’ll find an RV park. 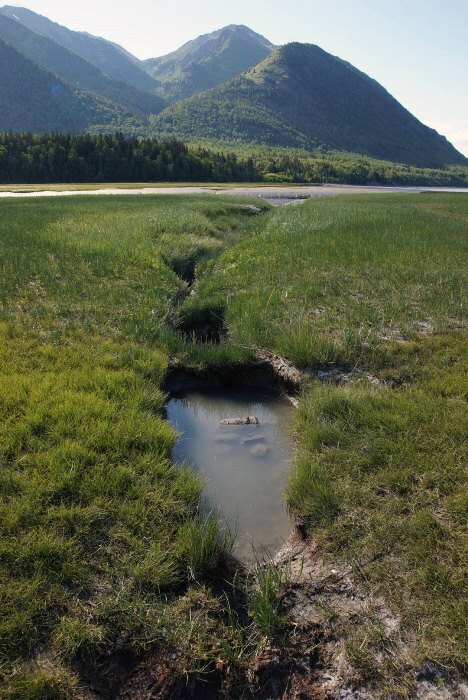 … until you reach the water, or more likely, fresh mud. 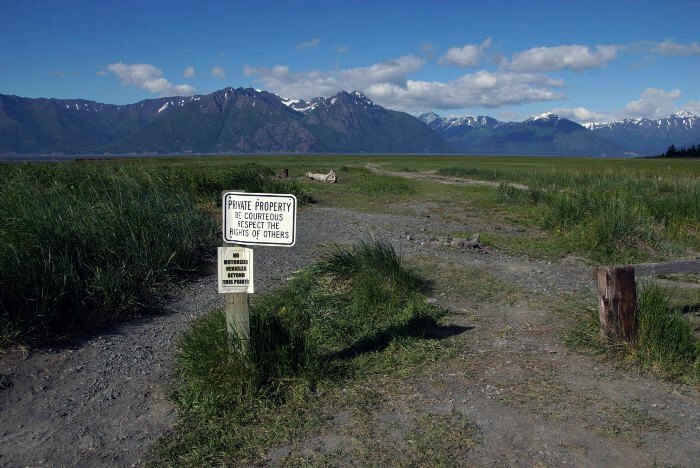 Go any further, and you’re likely to get stuck in the thick soup left behind by Turnagain’s tidal waters. While the mud is ugly, the view looking back towards town is quite nice. Unfortunately, the cafe was closed during my visit, as was just about everything else in Hope’s central business district. But there was one place that was still open. 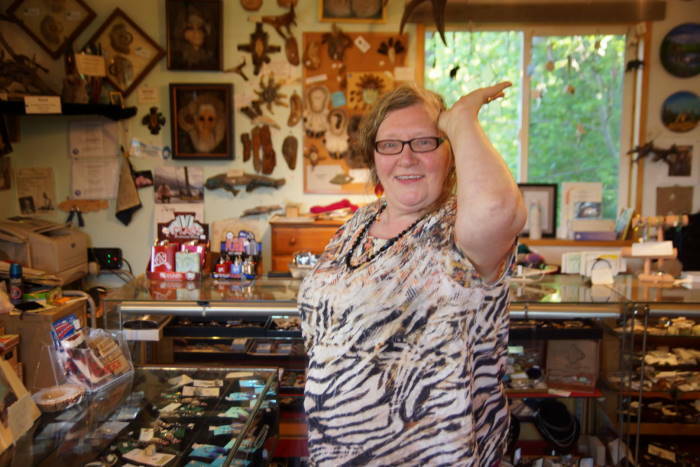 … I am willing to say that Dru is probably the world’s most interesting gift shop owner. Dru was about halfway through a can of Pabst Blue Ribbon when I arrived. We chatted for a while about living in Hope versus living in Florida — and I heard the same thing that almost every other Alaskan told me: “It’s too hot down there. I couldn’t take it.” I assured her that my Januarys are very similar to her Julys, so she might want to give it a try in a few months. 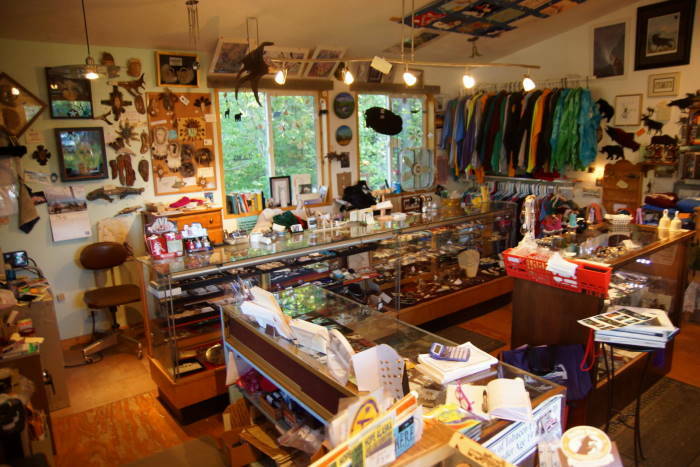 The gift shop is packed with a whole lot of everything, including some locally-made items. I resisted the temptation to buy a bumper sticker that said “It’s better to have Hope in your soul than to have soap in your hole” — an item that Dru was clearly very proud of. 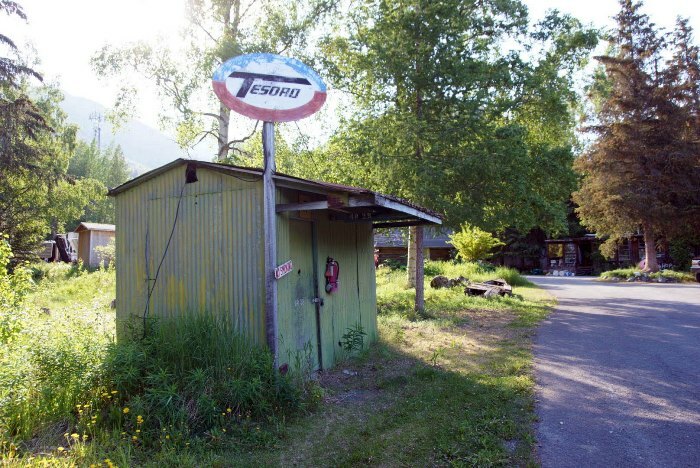 If you travel beyond Hope, to the end of the highway, you’ll find the town’s only gas station. Yes, this is it. At least, I’m pretty sure it’s still pumping gas. Just to be safe, make sure you’ve filled up in Anchorage, or Girdwood, or Seward. 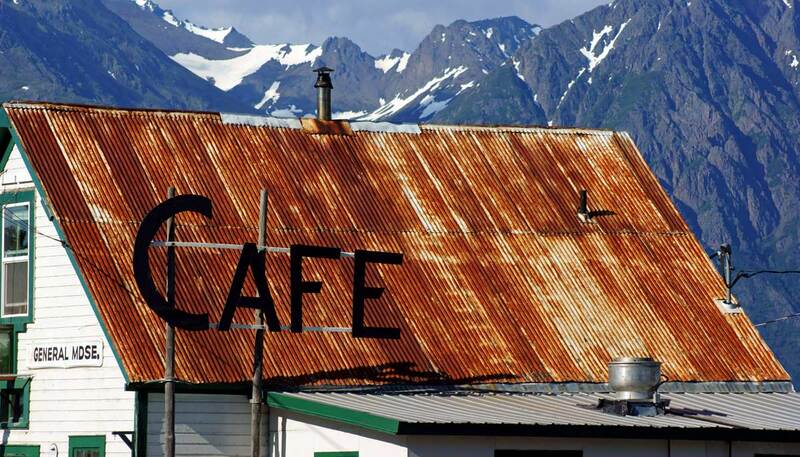 If you’re wanting to experience small-town Alaska (without flying on a tiny plane to the ends of the earth), Hope provides an authentic experience. If you have time, make the effort to drive out and look around.